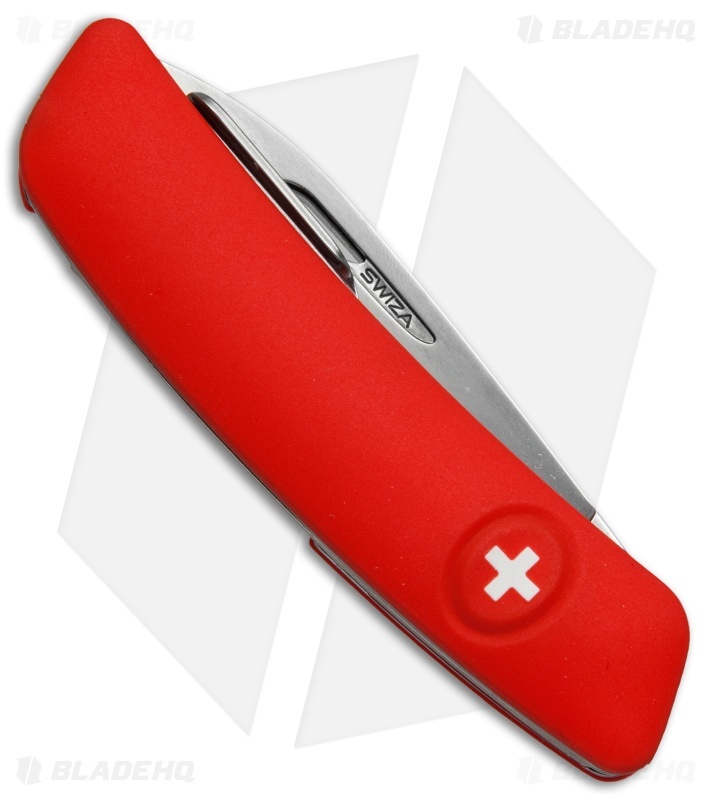 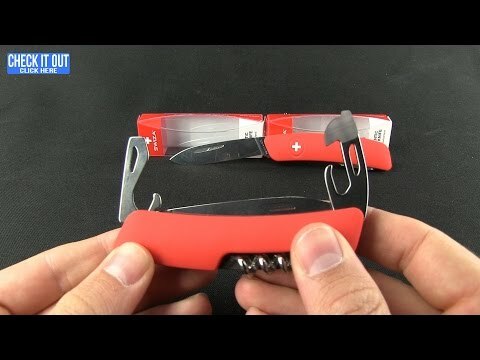 This Swiza D04 pocket knife offers a revolutionary redesign of the traditional Swiss pocket knife. It features a soft touch polymer handle with a rubberized texture for a sure grip in difficult conditions. 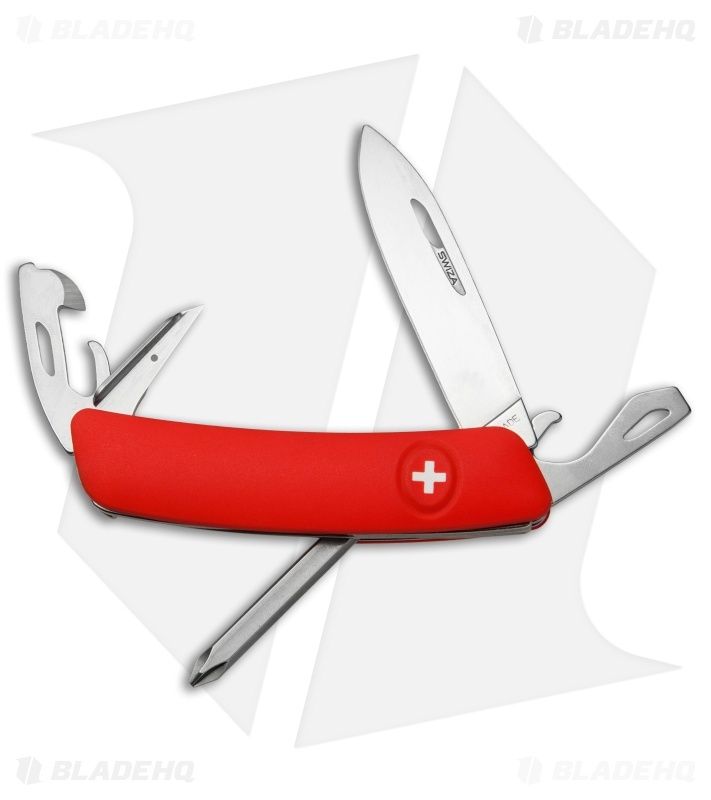 The blade is made from 440 stainless steel with a polished satin finish. 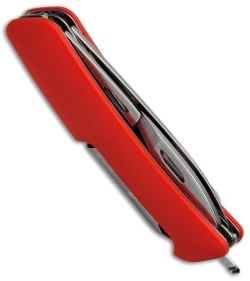 It locks in place with a liner lock mechanism that is easily released by pressing the Swiza cross button. This D04 model comes in a bright red handle color. Components include an awl, phillips screwdriver, small flathead, large flathead, bottle-opener, corkscrew, knife blade and tweezers.